The place was very nice and in a great location. The staff was very good. My first impression was very good, nice rooms, nice swimming pool, good WIFI, friendly staff. But soon i had to change my mind because of the noise from the neighbour rooms. Every room is connected with a door, which is not isolated, you can hear everything, TV 15hours/day, phone calls 6am, just everything, sleep is only possible with ear plugs. Also the curtains are to small, not good enough to make a dark room, in the morning its bright and as im a Casino visitor, its hard to get enough sleep. These problems could be fixed, double doors, isolated and better curtains, but right now, i will not book it again ! Overall disappointed. Room was dirty, walls where thin enough to hear what was happening next door 24/7 and A/C only went to 71. Which is still warm for me. We were looking for a nice, quiet place off the Strip. 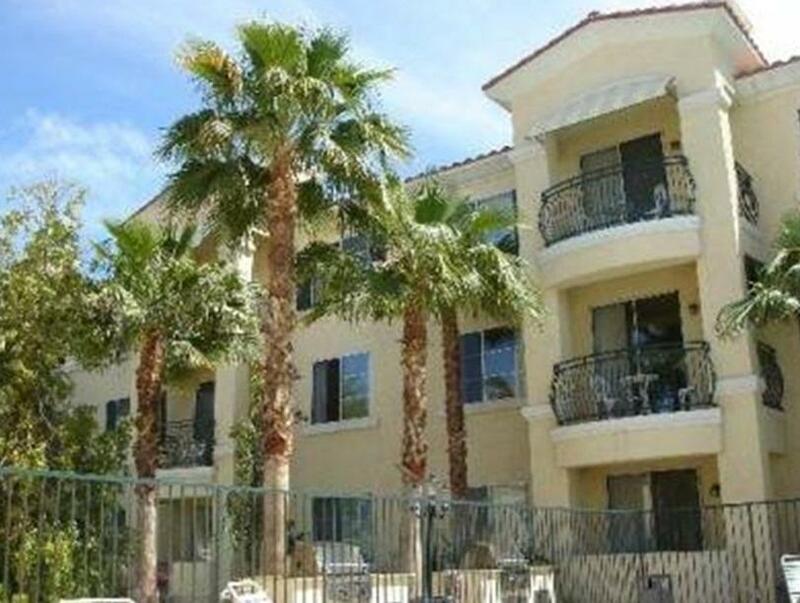 The location was good, within walking distance to a supermarket and about 10 minutes from the Strip (driving). Check-in was easy, and we quickly paid the non-included taxes and $100 deposit; the latter was refunded in a timely manner after our stay. Be prepared: they will try to hook you into a timeshare spiel, but they only do this for married couples. We aren't married, so we were on our way within 5 minutes. The room was pleasant. It was clean, stocked with all the necessary amenities, and sufficiently spacious. We were in a studio type room, so no balcony. The bathroom had a nice-sized tub with jets, always a plus! The kitchenette was smaller than I expected. There was a smallish fridge, microwave, sink, and cabinets, and dishes and cutlery were provided. I may have made a mistake, because I was under the impression that there was a stove top. However it was a fine setup. They do offer breakfast, but it's just plain bagels, fruit, and coffee and tea...nothing special. However, Chris, the guy working breakfast when we were there, was super cool and friendly. The pool was being repainted, so I can't comment on that. But we did go to the sister property to play tennis. They also provided racquets and balls which weren't the best quality, but they were definitely usable. 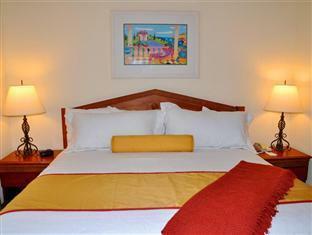 The properties are landscaped beautifully, and overall the stay was nice. A caveat: the room we stayed in had an adjoining room with a locked door. Some extremely loud people were staying in that room. Being Vegas, they were probably drunk at night when they were so loud, we kept waking up. I called the front desk and complained, but nothing was done about it. Be warned that the sound carries terribly, so it may be best to bring earplugs. It's a good value if you know what to expect! It was mediocre. I would suggest real cream to go with the coffee and fresh fruit at breakfast, not yellow splotchy oranges. Our stay was great Our suite was spotless when we arrived, so we didn't really need maid service every day which is not included, but fine. The pool being open 24 hours was a wonderful bonus. It was very comfortable an enjoyable stay. I don't smoke or gamble quieter than standard strip hotels. We had a great stay at Club De Soleil. The price was even better than what was on the strip. Pros: Staff was super nice Room size was large Having a kitchenette with plates/glassware (not plastic) Cons: Tub was not jetted. It was a roman tub, but no jets. Shuttle only took you to two hotels on strips and ended trip back at 1:30 on weekends, 11:30 on weekdays. Shuttle only went to Freemont Street on Thursdays. While my family and I enjoyed the apartment style swimming pool. The rest of our stay was far less than what we execred and are use to. We arrived to the resort around 9:30-10pm I'm not sure if the two women who were working just didn't like each other or their job. They were both on edge and abrasive. My husband and I stayed in a studio suite when we were given the key to the room it did not work. I took it back to the front desk and the woman told me I went to the wrong room I showed her on my key card and map the room number that was given to me she then said well that's not the room we registered you for...uhhh that's not my problem. Mind you the room they registered my key for was already occupied can you imagine if we opened that door? The other lady working with her corrected the problem unapologetically and sent me back to my room. When we walked in I immediately felt that I stepped on sand or something grainy on the floor, the bathtub had what looked like dirty foot prints in the basin, and the room reminded me of a motel. The walls were very thin, two of our lamps did not work so it was pretty dark. I could have paid and stayed and a nicer hotel on the strip! Good. Cheaper booking via agoda. Love the shower. Comes with a jacuzi bath tub. a well equipped basic kitchen which helps with in room dinning. 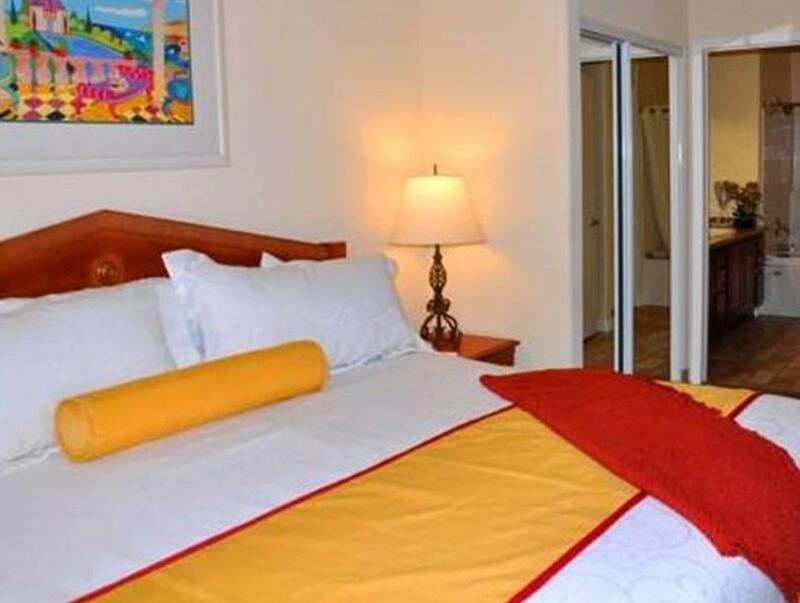 Compared to the other branded hotels at the Stip like MGM, Laxor, Excaliber.....this is a preferred place to stay. Frequent free shuttle to the casinos and free parking for guests. Have fun and sleep well. We stayed only 1 night, but enjoyed our time there. The pool was fantastic until several teenagers took it over with a loud music.